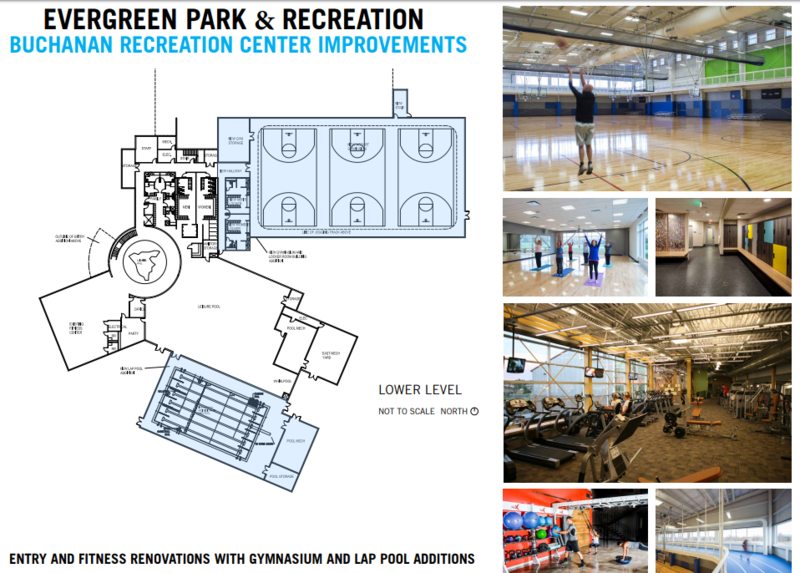 Buchanan Park Rec Center improvements would include the addition of a three-court gymnasium with elevated walk-jog track, expanded fitness class space, additional parking and base facility upgrades. See Proposal sheet below. the August 21st board meeting. proposed capital improvements, and additional details regarding the mail survey results.